This toolkit is designed to help communities plan and implement accurate Point-in-Time Counts in Canada. The content is aligned with the requirements of the 2018 Coordinated Count, as described in the Government of Canada’s Homelessness Partnering Strategy. 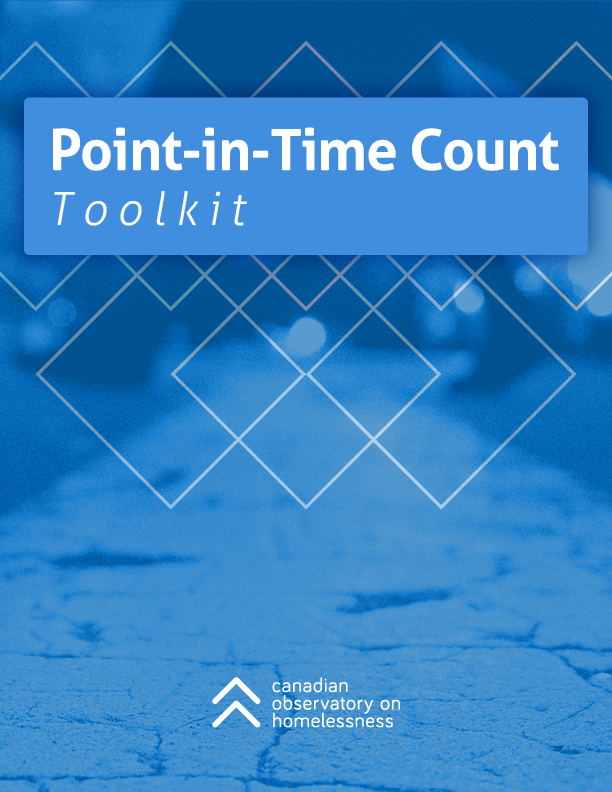 The toolkit complements Everyone Counts: A Guide to Point-in-Time Counts in Canada, 2nd Ed., which details the Core Standards and requirements of the Coordinated Count, as developed by HPS. We make reference to these standards throughout the toolkit. If you are participating in the Coordinated Count, we recommend reading the Guide to PiT Counts before reviewing this toolkit. Similarly, communities in Ontario should first review the Guidelines for Service Manager Homelessness Enumeration. Throughout this toolkit we have also linked to the resources and tools available as of May 2017. As more resources are developed and shared by the Canadian Observatory on Homelessness, the Homelessness Partnering Strategy and participating communities, we will update the Point-in-Time Count Resource Directory. Funded by the Government of Canada’s Homelessness Partnering Strategy. The opinions and interpretations in this publication are those of the author and do not necessarily reflect those of the Government of Canada.